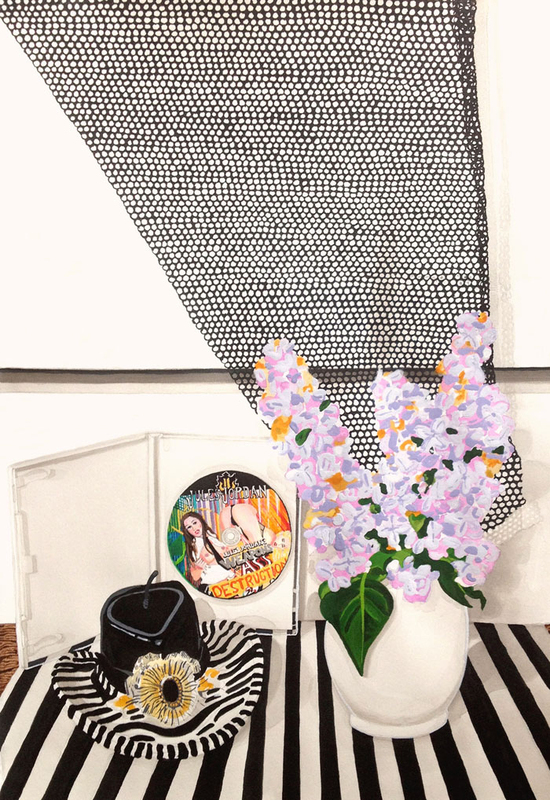 A vase of lavender lilacs, a kitsch cowboy hat candle, and a pornographic DVD are arranged precisely atop a bold, black-and-white striped cloth. Akin to the fatalistic spreads of classic vanitas paintings, this intimate still life invokes mixed sensations of lingering nostalgia, corporeal delight, and furtive melancholy. As part of JKJKJK, Ty Ennisʼ first solo exhibition at Nationale, such examples of open self-questioning also reveal a marked maturation in both style and subject matter. Breaking away from the more conscious brushstrokes and adolescent dealings of his past work, Ennisʼ iridescent colors freely bleed onto the page, unhindered by the caging of either line or background. From symbolic portraits of prominent figures—such as adult film starlet Jill Kelly—to wry, often voyeuristic, glimpses into the lives of others, his visions are fraught with the push and pull between fantasy and reality. 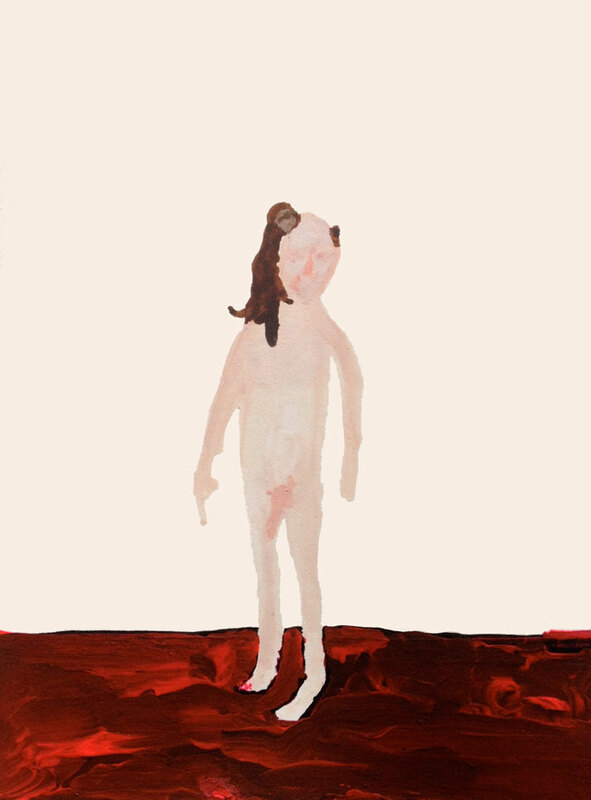 Together, and without false sentiment, these works ultimately fashion an honest portrayal of the tenuous dichotomies that govern both pleasure and self-acceptance, as Ennis himself continues to experience them. 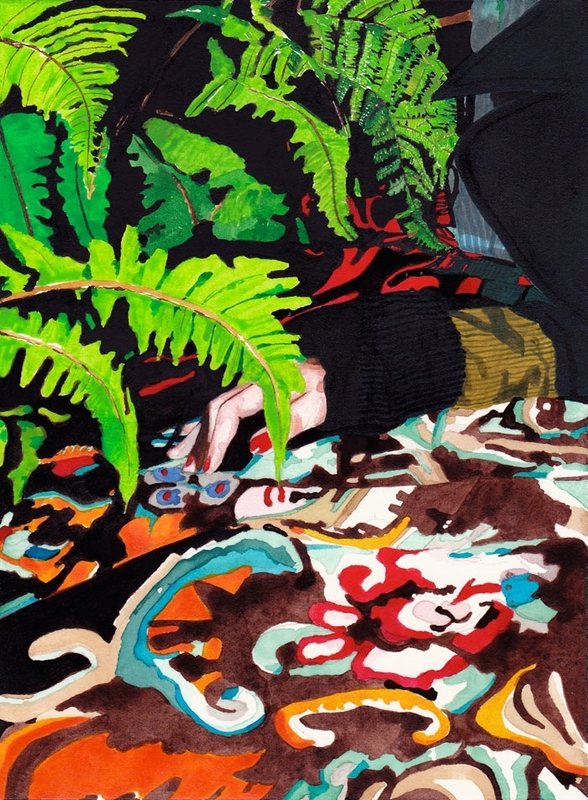 Ty Ennis (born 1981, Spokane, WA) lives and works in Portland, OR, where he graduated from Pacific Northwest College of Art in 2003 with a BFA in Printmaking. His work was previously included in the 2006 Oregon Biennial at the Portland Art Museum and shown in Portland, OR at New American Art Union, Pulliam Deffenbaugh, and the Art Gym at Marylhurst University, and in Seattle, WA at Prole Drift. JKJKJK is his first solo exhibition at Nationale and coincides with the announcement of his representation by the gallery. This exhibition is organized in collaboration with Prole Drift (Seattle, WA) where it was recently presented. With special thanks to Dirk Park and Jaq Chartier.